Argentina welcomes expats to boost its socio-economic growth and is therefore, lenient in its immigration controls. Despite its challenging economy, Argentina keeps its promise of a European-like lifestyle on a bargain price. The low cost of living and quality healthcare are among the things that attracted expats to Argentina, the second-largest country in South America and the eighth-largest in the world. The estimated total population of Argentina was 42, 352, 023 in 2014. Defined as the "land of silver," Argentina lives up to its reputation of being the most developed country in Latin America, with expats amounting to 5% of the population. The country's promising economic market is attractive to both small and large investors. Politically, the framework of the government is a federal representative democratic republic, headed by the president. It consists of 23 provinces and autonomous cities. Argentina is classified as an upper-middle income country by the World Bank. Argentina's currency is the Peso, denoted as AR$. The country is abundant in natural resources, and its main exports include soy, corn, wheat and livestock products. Major Job industries in the country include the food processing and beverages industry, the motor vehicles and auto parts industry, the appliances and electronics industry and the chemicals, petrochemicals and biodiesel industry. Argentina's biggest draw is the equal treatment of expats and citizens. Owning a home is possible without the obligation either to be a citizen or to pay any contributions. Expats who wish to work in Argentina will need to obtain a work permit and a Documento Nacional de Identidad (DNI). Buenos Aires, the capital city, popularly known as the "Paris of South America," showcases both the traditional and modern Argentina to expats and travelers. Buenos Aires is a 24-hour city buzzing with life and plenty of restaurants, bars, and nightclubs. Historically, Argentina is known as the birthplace of tango so expats can dance their night away. It is a diverse area that is home to three million of the total population. Expats moving to Argentina with their family are lured by the education and healthcare systems, and there are plenty of immigrants from Italy and Spain, who have decided to make Argentina their new home. To make life easier for expats, it is advisable to learn some basic Spanish, the official language of Argentina. Though this is neither a prerequisite nor a necessity, it allows one to connect more easily with the local communities. On average, one in ten people working in large establishments speaks basic English. Applications to settle in the Argentine Republic can be done through the National Immigrations Office website. Foreign residents are not allowed to vote in national elections but are allowed to vote in some provincial elections. In order to be eligible to vote, you must obtain a National Identity Card or DNI (best compared to a social security number) and enroll in a particular register. The Ministry of Domestic Affairs website provides more information for expats on voting procedures. With high literacy level, low infant mortality rate, abundant natural resources, and an export-oriented agriculture, living in Argentina answers the call for a better place to live and work. 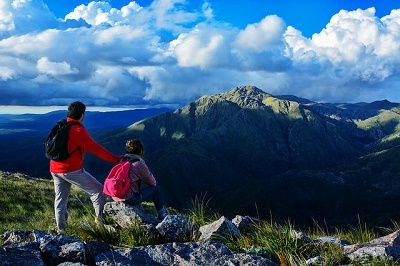 Relocating to a country like Argentina is an exciting concept for anyone who wishes to find a great big adventure in a new land. However, one should not be too excited as to forget to efficiently pack for a move to Argentina. Expats who are relocating to Argentina will find that most daily necessities are available in the country, especially in big cities like Buenos Aires. However, it would be helpful as you relocate to take some essentials that can help you easily adapt to the Argentinean life. You may want to leave behind plants, fruits, vegetables and perishable foods as they are not allowed to be brought when entering the country. Domestic animals are only allowed entry if they have certifications and updated vaccines. If you have medicine that you regularly take, make sure to bring prescriptions for them too. Bear in mind that the weather in the country is mostly hot and humid, but can also be very unpredictable. So make sure to pack clothes made of lighter fabric so that you can layer on when the need arises. Make sure to also pack some sunscreen and moisturizer to help your skin cope with the weather. If you are going to work in Argentina in an office setting, make sure to include in your wardrobe items that are more on the conservative and formal side. Dress shoes or heels are best as well. Removals to Argentina can be done through numerous removal companies that do overseas shipping. There are hundreds of moving companies in Argentina that can help you easily transfer your bulkier essentials to the country but ExpatFinder has selected only the ones you can trust based on its ExpatFinder Quality Network (EQN). It would be beneficial to contact one of them through our website, so you can relocate as efficiently as possible. This South American republic is an economic wonder, with its abundant natural resources, educated workforce, and plenty of employment opportunities for locals and expats alike. Living in Argentina is an enjoyable experience for its rich culture, charming people and magnificent scenery. Working in the country is also a definite delight for many expatriates and locals. The employment rate in Argentina is at 61%, and the average salary earned is ARS $ 12,233. Major industries in Argentina are food processing, motor vehicles and auto parts, chemicals and petrochemicals, biodiesel and appliances and electronics. The industrial sector has its center in the city of Cordoba, where metalwork is the most important area, most especially for motor vehicle production. 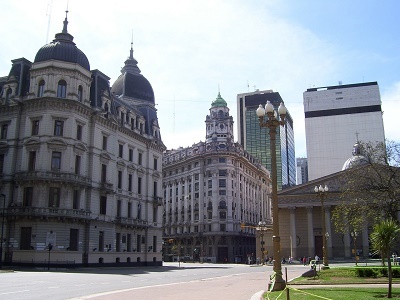 Other industrial sectors have their base in the city of Buenos Aires. Agricultural related industries abound in the country's economic hubs outside the city center, like sugar refinery in San Miguel De Tucuman and wineries and fruit-processing plants in Mendoza and Neuquen. Most of the available jobs in Argentina are for blue-collared workers; however there are also a number of options for white-collared workers, especially for those who have special or professional skills. The average salary on a monthly basis may change depending on your level of education and the location where you're working. Normally, monthly wages are bigger in major cities like Buenos Aires. Working in Argentina means working from Monday to Friday, with work hours starting at 9am and ending at around 7pm. There may be individual companies that close as late as 10pm. Argentineans have a very flexible approach to time and punctuality, although the observance of the latter is very much appreciated. They are also a status-conscious people, and your clothing in the workplace is one way of showing that. Part of business etiquette in Argentina that you should observe is the dress code. Make sure to dress as conservatively stylish as possible. Although prices have gone up worldwide, but the devaluation of the Argentine Peso brought about the low cost of living in Argentina. In a nutshell, you can live a comfortable life for a monthly maximum of around US$900 if you get out of the city. Living in Argentina are very reasonable for Westeners, who were previously living on dollars or the euro. Do note that prices in the metro areas are considerably higher. The taxes are high in Argentina but expats will find it appealing that no income tax needs to be paid if you generate an income from abroad and transfer the funds to Argentina. It is advisable to set up an Argentinean bank account if you are staying for more than three months in Argentina. Common banks in the country include the Banco de La Nacion Argentina, the Banco de Cuyo, Santander, Citibank and HSBC. To open a bank account in Argentina, there are certain requirements to fulfill. Banks will ask you to present your passport as well as your Documento Nacional de Identidad (DNI). Your CUIT number (business tax code) and your CUIL number (personal tax code) will be also be requested, along with your AFIP (social security number. Bank interest rates are usually between 4% - 8.25%. The greatest asset of this South American country is its land, which totals an area of 2,766,890 kilometers. Expats will find cheap land in this country and there are currently no restrictions on foreigners buying real estate. Keep in mind that the business climate in Argentina is different from that in the US and Europe. If you are a foreigner, you are expected to pay cash for purchasing real estate. Prices vary depending on the location. If you are thinking of buying in a wine growing area like Mendoza or the suburbs of Buenos Aires, don't expect it to come cheap (approximately US$20,000 to US$25,000 per hectare). A regular 1000 square foot apartment costs from approximately US$175,000 to US$200,000. Renting in Argentina can be cost effective for expats but remember that most transactions are carried out in cash. The security deposit is equivalent to a month's rent. Living in an apartment in Buenos Aires will mean paying a monthly maintenance fee. Prices vary depending on the amenities of the building - from US$43 to US$173. The market in ISP is in demand; a good connection will cost around US$3. Thus, electricity, cable and an internet package can cost you an average of US$70 monthly. Leaving a tip in Argentina is customary and calculating ten percent of the bill for service is the norm. Compared to the US, private health care is affordable in Argentina. Taking a bus is the cheapest and most popular mode of travel in Argentina. Expats looking for a guide to help them get around the area will find that Guia T is a helpful map in Buenos Aires that expats can use to check the entire bus route and the costs in the city. Taking a cab is also affordable. Most of the taxi drivers are honest despite the rumors that they charge foreigners more. To put your mind at ease that you are paying the correct fare, use pre-arranged taxis. Car rentals are also an option for expats who don’t plan to ship their car to Argentina. A passport and valid license is all that is needed in order to rent a car. Argentina has a population of over 43.8 million people and expats make up around 5% of the population. Historically, this country has suffered from an economic downfall in the early 2000's, but the country was able to recover. The Argentine Republic boasts a high-income economy which is the largest in Latin America and the second largest in South America. Argentina also has a high Gross Domestic Product of USD 630.4 billion, making it the 21st top country in the world in terms of nominal GDP. Aside from its abundance of natural resources and a leading role in the export industry, this country also possesses a highly literate population which is the reason behind its competitive local labour force. With an employment rate of 61%, major job industries in Argentina include the food processing and beverages sector, the motor vehicles and auto parts sector, appliances and electronics sector, chemicals, petrochemicals and bio diesel sectors. Manufacturing is also the largest, leading sector and the top job providers in this country which is accountable for employing 13.1% of the total labour force. 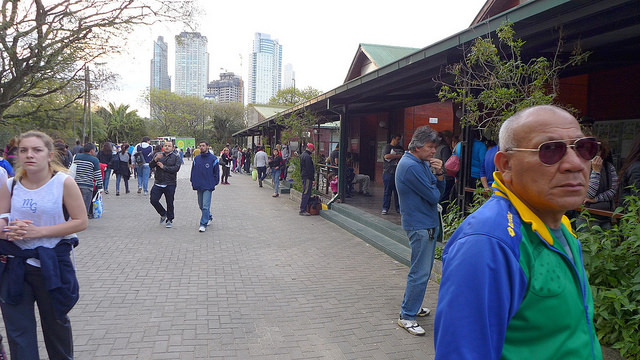 There is also the booming tourism industry where 21.4% of Argentina’s population is working. As evidenced by the economic meltdown, the salaries in Argentina fell in the early 2000's, but in 2008 the wages increased by 27% as negotiated between the labour unions, industry leaders and the government. Presently, the monthly minimum wage in Argentina is 8,060 Argentine Pesos or USD 572 while the average monthly salary is ARS 13,845 or USD 886, depending on one’s occupation, qualifications and location. The legal working time is eight hours per day and 48 hours a week. Work is not permitted on a Saturday afternoon or Sunday. Children are allowed to work for six hours per day if they are between 15 and 18 years old. Over the age of 18, workers receive the minimum wage rate. Like in many countries, workers are entitled to a bonus, Aguinaldo, every year. It is equivalent to a month's pay and is based on an annual average salary and paid in the middle and at the end of the year. Foreigners willing to work in Argentina should be prepared to receive Argentinean wages, which are notably low when compared to the US and Europe. One of the easiest tools to search for a job in Argentina is through the internet. There are also numerous recruitment agencies that are active in Argentina. Checking ads from newspaper and magazines can be advantageous, and there are also newspapers aimed at expats such as the Buenos Aires Herald. 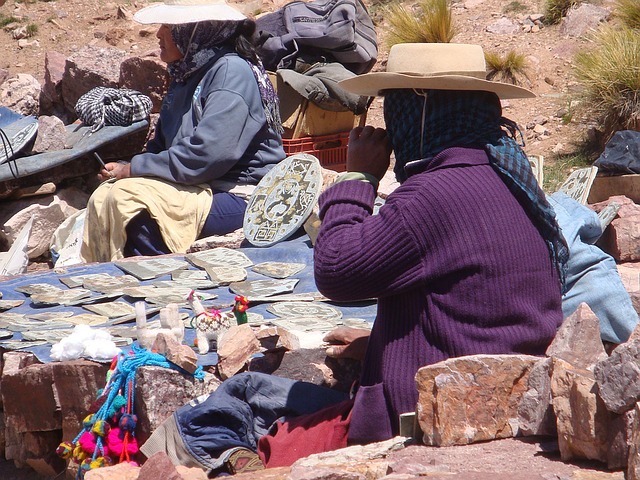 Speculative applications are a common practice in Argentina. Sending your resume online or through the post can give you a chance of being considered. Thorough research is needed so that you send the application to the correct person. This type of application can also be sent through the National Chambers of Commerce. As part of the Argentinean Social Security System, you can apply for unemployment benefits if you lose your job. You should make an application within 90 days from the date of termination. The amount payable is 41.5 percent of the highest monthly wage paid in the previous six months. The benefit amount will never be less than AR$150 monthly or higher than AR$300. Calculations are based on the total length of time you have been employed.